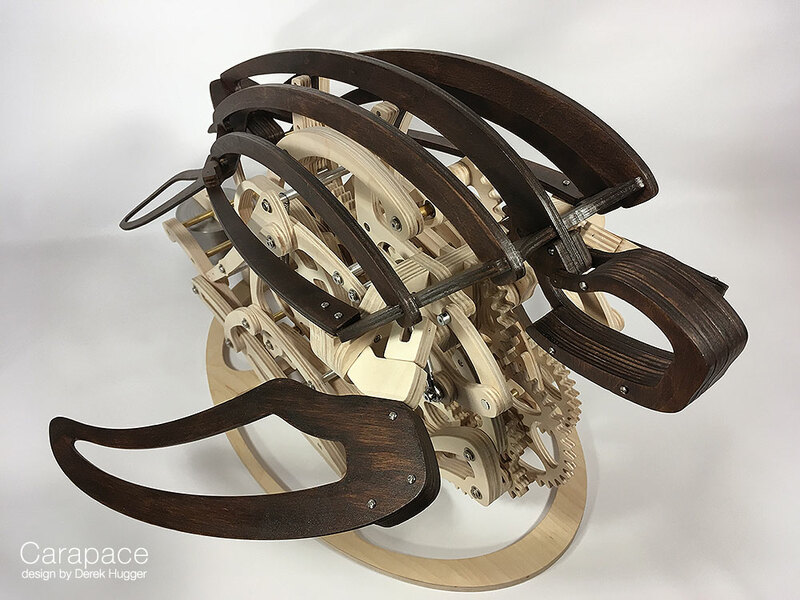 Carapace is a wooden kinetic sculpture that simulates the motion of a sea turtle swimming. 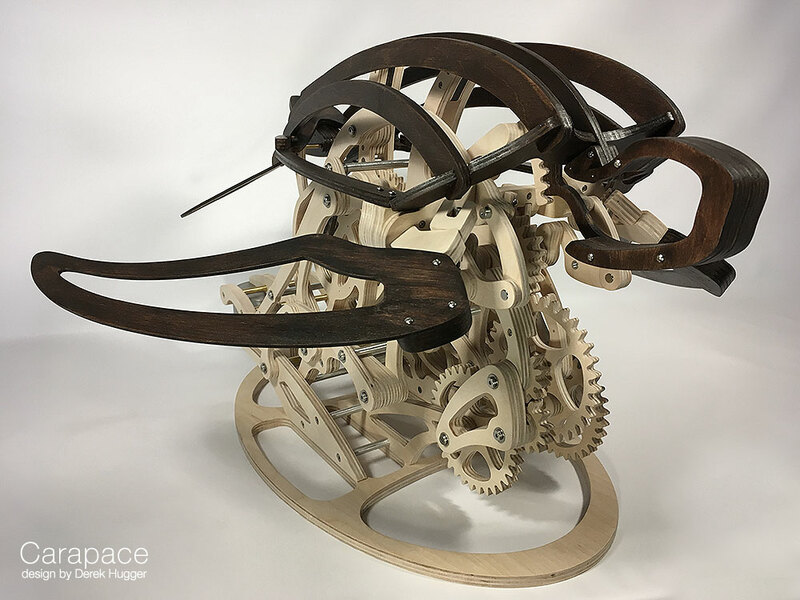 A complex series of mechanisms allows Carapace to swim up and down, tilt forward or back, and even lift its head up for a breath of air. 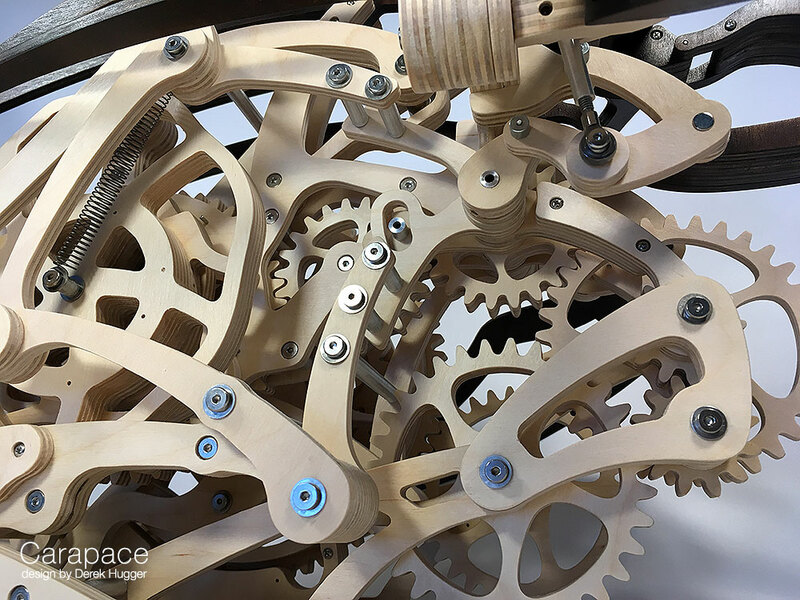 As each mechanism is carefully linked to the next, each of Carapace's flowing motions are driven by turning a single crank. 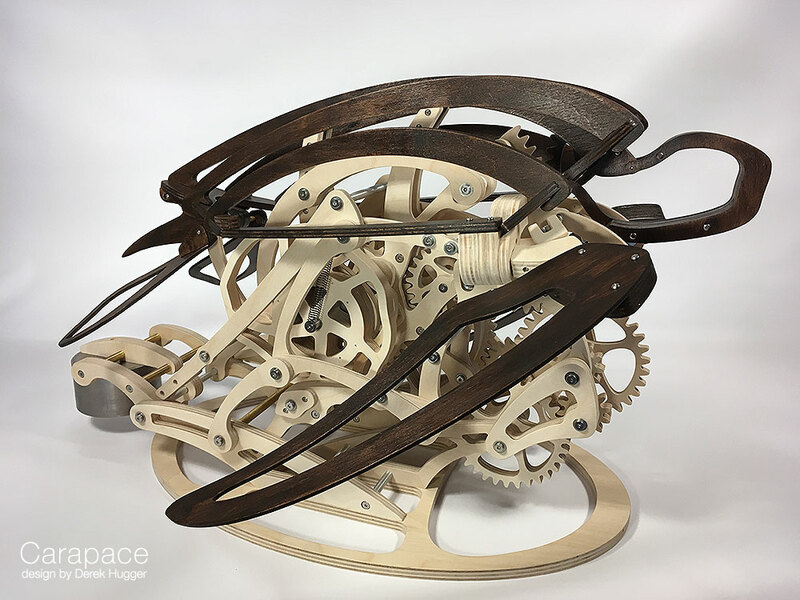 With over six hundred parts, simply choosing which part of Carapace to look at is nearly as challenging as figuring out how the sculpture works. 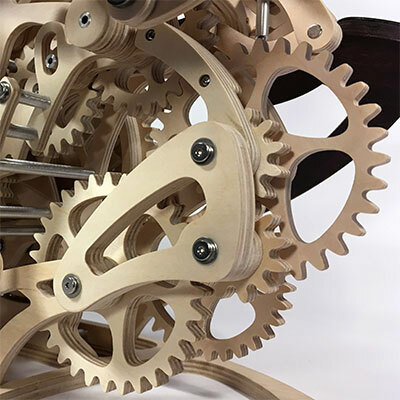 Its motions are generated from a densely packed stack of Peaucellier mechanisms, synchronizing gears, hypocycloid reducers, and plenty of cams and linkages. Carapace's unique swimming motions are the result of hundreds of parts working together in unison. 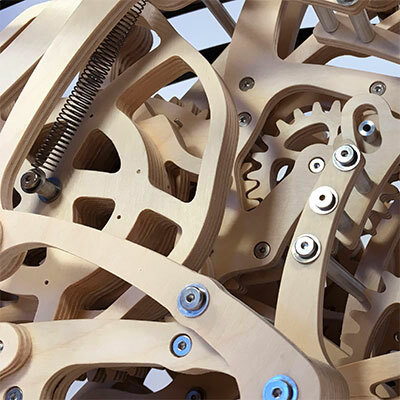 These motions are generated from carefully thought-out timing mechanisms that allow each moving part to operate independently and without undue influence from the other moving parts. 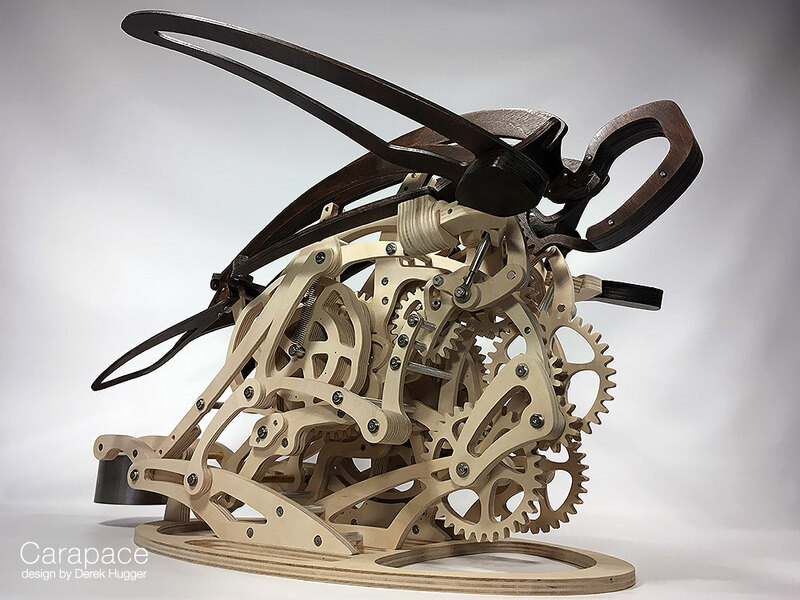 Carapace's forms are designed to mimic its motions - smooth and flowing. 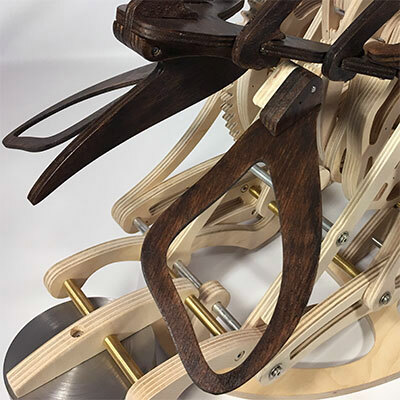 As straight lines and geometric shapes are not typically found in nature, each wooden piece of Carapace was designed with curvature continuous splines which gives the sculpture a lifelike, organic aesthetic. A non-trivial amount of time was spent watching and studying videos of turtles swimming. 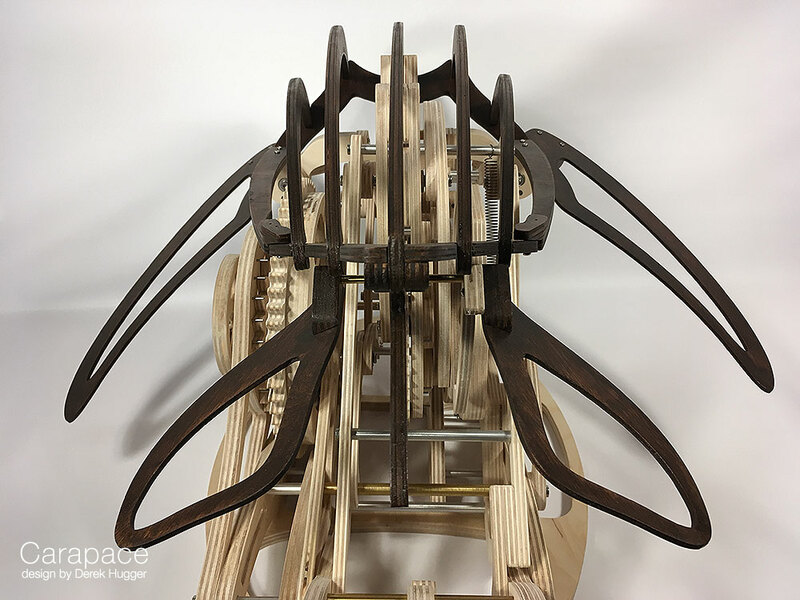 Getting the motions of Carapace to closely resemble the motions of real turtles was a true challenge. Countless hours were spent refining the sculpture's motion to be as lifelike as possible even before any mechanisms were developed to drive those motions. 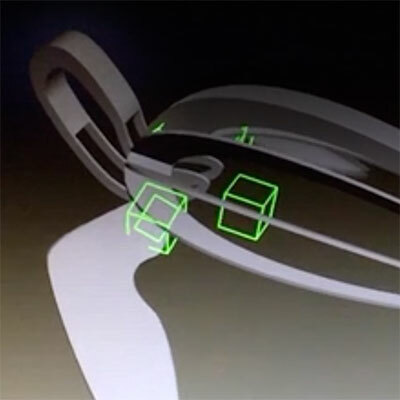 The sample DXF file and STL file can be used to test CAM software compatibility. 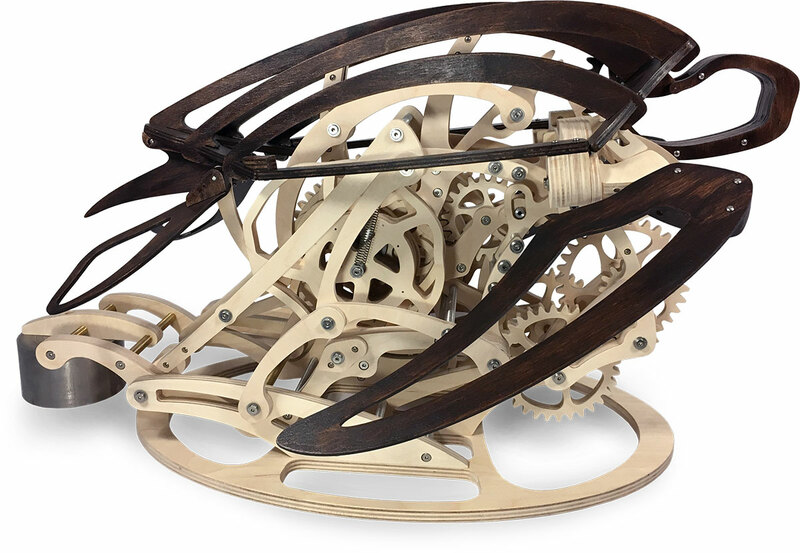 For builders with CNC machines or 3D printers, the purchased version of the plans contains DXF files and STL files for all wood patterns. Note: Instructions for motorizing Carapace are not included with the plans. Click here for more info.